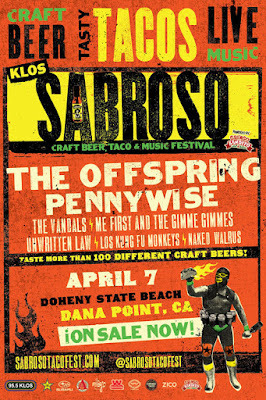 Tickets for the fifth annual KLOS Sabroso Craft Beer, Taco & Music Festival powered by Gringo Bandito on April 7 at Doheny State Beach in Dana Point, CA have officially SOLD OUT. 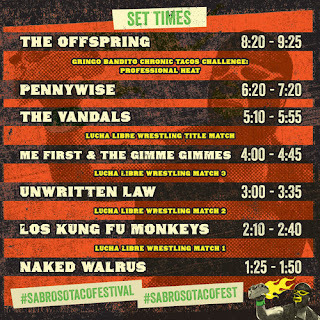 KLOS Sabroso Craft Beer, Taco & Music Festival is pleased to announce the return of the highly acclaimed 8th Annual Chronic Taco Challenge Competition, details on Lucha Libre style wrestling matches, music performance times and an expanded list of taco and brewery participants. The Gringo Bandito Chronic Tacos Challenge: Professional Heat consists of 8 professional eaters from around the world, competing for cash prizes and the highly-coveted title of Chronic Tacos Eating Champion. World-champion eater Takeru Kobayashi from Nagano, Japan -- who holds eight Guinness World Recordsfor competitive eating -- returns to defend his 2017 Chronic Tacos Eating Champion title. At last year’s KLOS Sabroso, Kobayashi devoured an astonishing 159 tacos in 10 minutes -- shattering his own 2015 record of 144 tacos. European taco challenge champion Jesse Pynnönen returns from Heinola, Finland – seeking to beat Kobayashi and become this year’s Chronic Tacos Eating Champion. Additional professional eaters include Molly Schuyller, Naader Reda, Kevin Ross, Bob Shoudt, David Brunelli, among others. 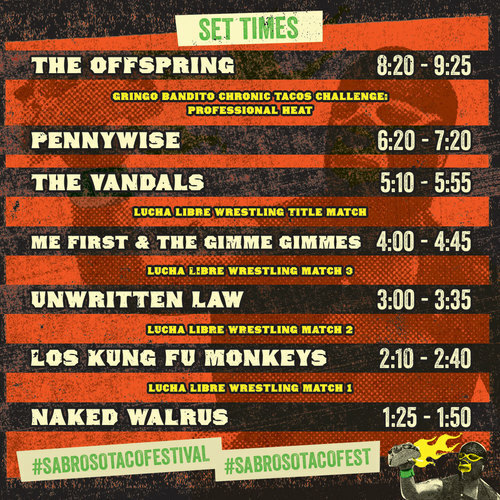 In addition to great music, tacos and craft beer samplings, there will be four Lucha Libre style wrestling matches, including the title match, taking place in between music performances. Wrestling stars include Cesar Gonzalez (Silver King), who is a famous luchador out of Mexico City and is widely known for his role as Ramses, the villain wrestling champion in the film Nacho Libre (starring Jack Black), along with Craig Williams (Human Tornado) -- who also appeared in Nacho Libre, as El Snowflake -- and more. The Gringo Bandito Chronic Tacos Challenge: Professional Heat and Lucha Libre style wrestling matches will take place in between music performances. At each festival date, the taco creations will compete for the coveted Sabroso "Best Of Show," awarded by a panel of highly acclaimed and pre-selected food judges including KLOS’ own Frosty, of the Frosty, Heidi & Frank Show, Jessica Rice of Beer & Baking, and more. Attendees are also invited to sample all flavors of The Offspring lead singer Dexter Holland’s top rated hot sauce - Gringo Bandito! Sabroso Craft Beer, Taco & Music Festival is produced by Synergy Global Entertainment (SGE) and Brew Ha Ha Productions.